Fits up to 10 passsengers. There’s no doubting it - everybody wants to ﬁnd some excuse to ride around in the cab of a limousine. There’s something about being on the inside of an elongated, classy vehicle that draws out an air of importance. For anybody with that fantasy (or with a real need for a limousine), Dallas Limo Services offers the ability to ride around in style and class along with nine other friends with their superstretch limousine. 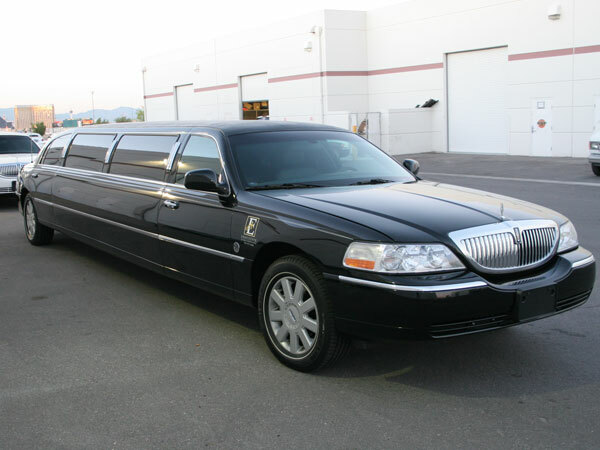 As the name implies, the superstretch limo is an elongated version of the basic stretch limo. Where-as the stretch limo offered comfortable seating for up to six individuals, the superstretch increases that number by four without sacriﬁcing everything that makes a limousine ride special. For that party-on-the-go, the superstretch limo not only offers comfort and class, but also an on-board mini-bar. Typical arrangements will include bottled water and cans of soda, but requests made ahead of time could also lead to a bottle of champagne and a carafe of vodka. During the day, the interior of the stretch limo looks nice, but it’s at night when it transforms from just a basic vehicle to a mobile-nightclub.As the sun sets, the interior gives way to a neon glow from the strands of ﬁber optic lighting throughout. Controlled through a panel in the cab of the vehicle, passengers have the ability to adjust the lighting to their needs and create that pulsating club lighting or a more steady ﬂow of colors. To compliment the “party feel” of the vehicle, an on-board AM / FM radio and CD player gives guests complete control over what they listen to. An MP3 adaptor also creates a near fully customizable experience. A limo ride doesn’t need to be all party-centric, and depending on the occasion can be rather intimate. If you happen to have created a DVD slide-show for your best friend on her wedding day, the on-board TV / DVD player can be the perfect place to show off your pre-wedding gift. Again, with complete control of just about every aspect of the vehicles cab (including the AC / Heat), you can create any atmosphere you’re looking for. 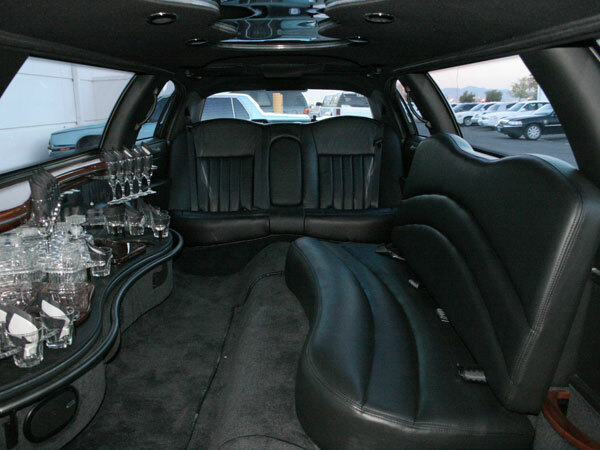 Of course, one of the best features of a limousine is the ability for complete privacy. A privacy screen separates the cab of the vehicle from the driver to avoid those awkward situations of feeling like you’re being watched. In addition, every window in the cab of the limousine is tinted to ensure passer-by’s aren’t sneaking a glimpse of what’s happening on board. 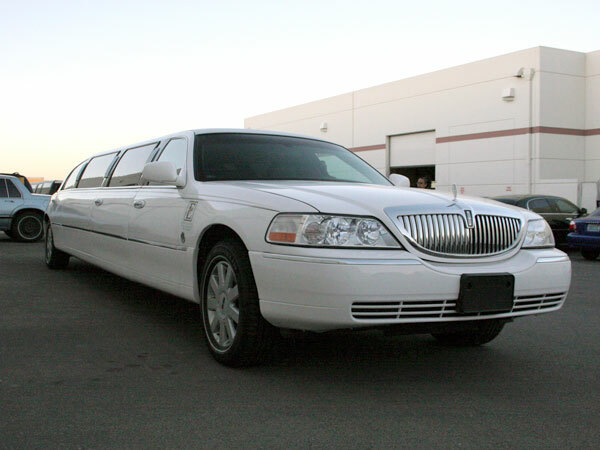 Whether you’re spending the night as a traveling bachelor / bachelorette party or are being escorted on your wedding day, the superstretch limo is the premier choice when looking for comfort, class, and space. 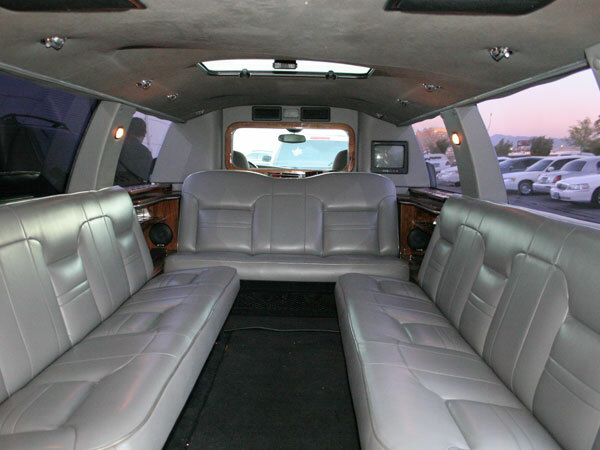 A luxury interior and classy exterior make the limousine one of the most talked about vehicles on the open road.